If you’ve never done a road trip in Australia or hired a campervan then here is a handy guide that runs you through everything you need to know about road-trippin’ in Western Australia. 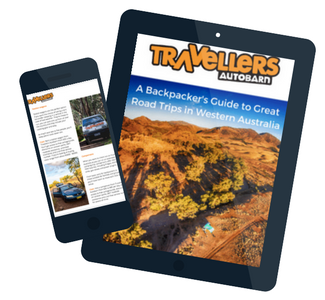 Read on for the best routes in West Australia, must see stops, things to do and helpful tips on driving a campervan. This guide will be emailed to you within 5 minutes. You will receive future newsletters if you subscribed and are able to unsubscribe at any time. Your data is secure and will not be shared with any third parties.